This August, our B2003s flew to Spain to enjoy an excursion that included stops at the two towers of world football — Madrid and Barcelona. This would prove to be an eye-opening trip for both athletes and staff, exposing them to new concepts in our game as well as new cultures. The players watched Real Madrid’s season opener against Getafe, a 2–0 victory, then played local youth teams CD Cobeja and Fratelsa Sports. All the while, they drank in the culture of Madrid, exploring the architecture and enjoying the food. A high speed train brought the B2003s from the heart of Castillian Spain to that of Catalonia as they moved on to Real Madrid’s arch rivals, FC Barcelona. As in Madrid, the boys were trained by Barcelona Academy coaches at their legendary training grounds, La Masia, “The Farmhouse”. In Barcelona, the school itself is important to soccer history as it was here that Johan Cruyff, refining ideas that he and Rinus Michels had developed at Ajax in Amsterdam, would develop the modern training systems and playing style so influential today. Training at La Masia, the boys walked in the footsteps of a good portion of the club’s legends as most of these have been homegrown. After a match against local team Sabadell CF, the final match of the trip, the team had time for one day at the beach. 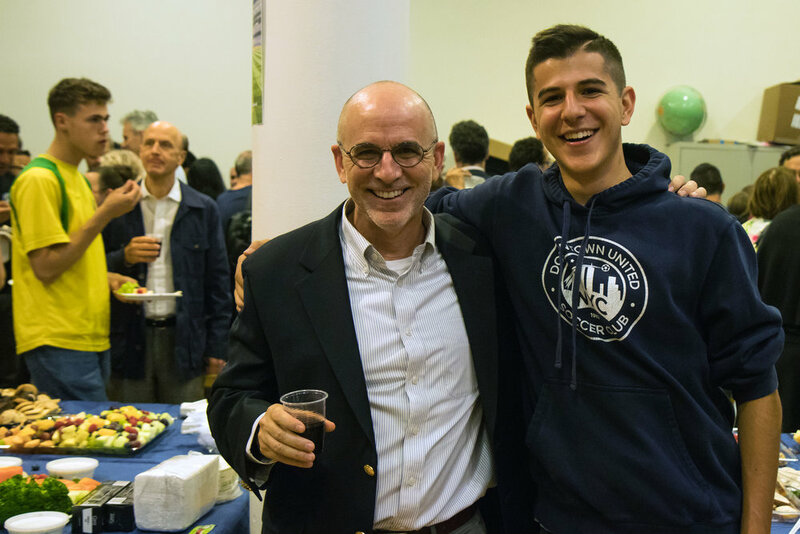 The group took a bus about 60 miles north to a town called Tossa de Mar to enjoy the Mediterranean and the local Catalan cuisine. 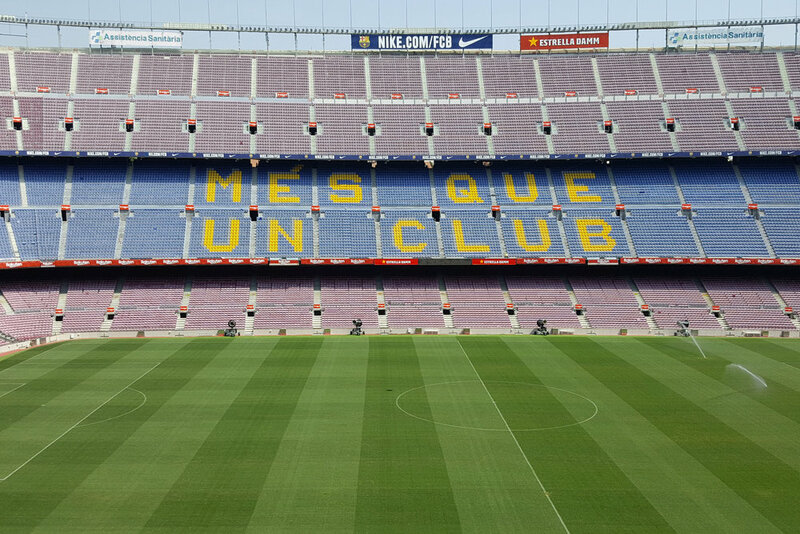 A tour of Camp Nou, Europe’s largest stadium, included a museum to rival that in Madrid, with artifacts mixed in with interactive experiences. And, of course, trophies. Lots and lots of trophies. 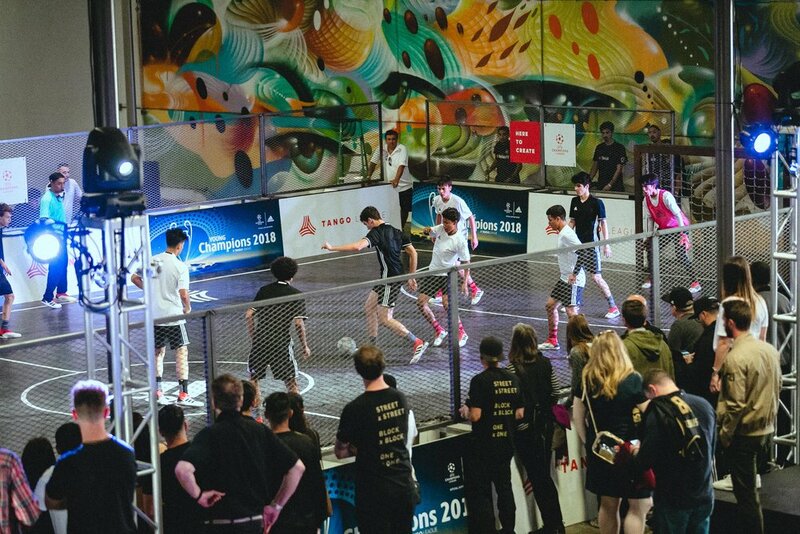 Our B2003s had included fans of both Madrid and Barcelona but after their experiences in Spain it was hard for any of the boys to avoid being fans of both. The trip proved to be an excellent example of using soccer as a vehicle to explore different cultures and our boys were very fortunate to have that opportunity. Sky Blue FC of the National Women’s Soccer League (NWSL) announced that it has entered a Platinum Club Partnership with Downtown United Soccer Club. 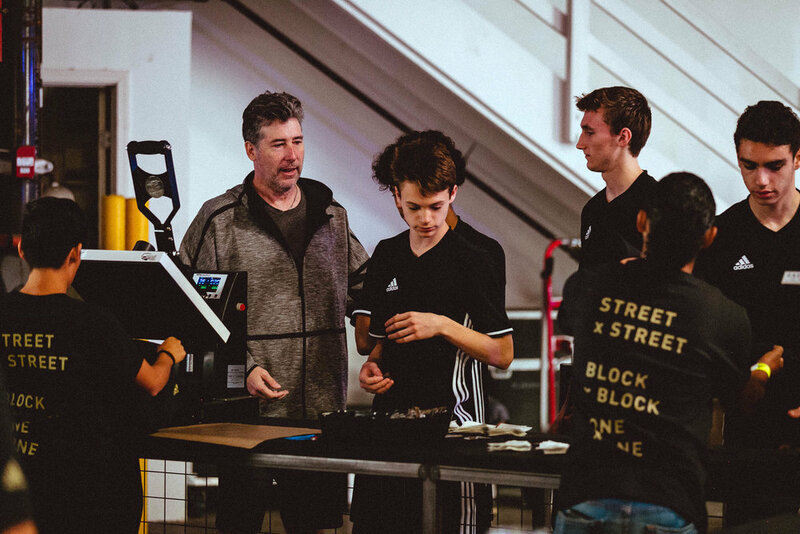 Based in New York City, Downtown United Soccer Club is organized as a not-for-profit entity to educate, train and inspire youth soccer players of all ages and abilities in a positive, respectful, supportive environment. 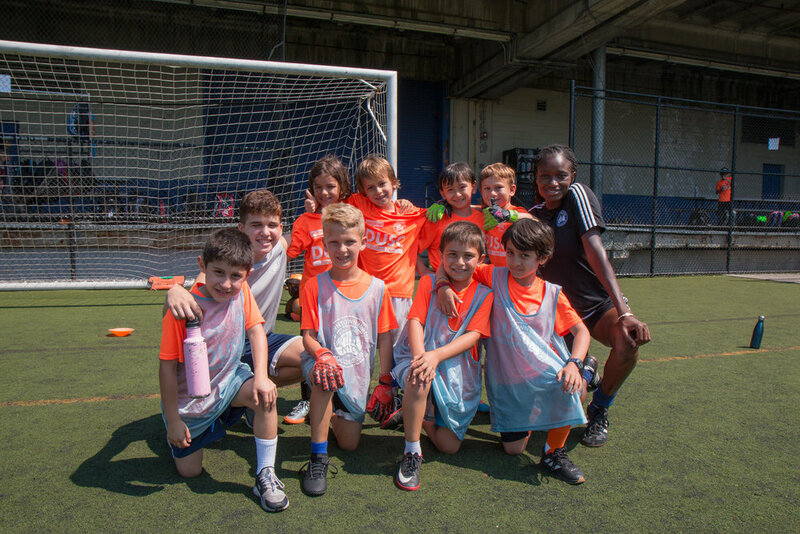 The club aims to foster a community that reflects the diversity of New York City in which children can develop a lifelong love for the beautiful game and realize their full potential as both players and people. Sky Blue FC represents New Jersey in the NWSL and features U.S. Women’s National Team captain Carli Lloyd and midfielder Savannah McCaskill; Canada Women’s National Team players Kailen Sheridan and Janine Beckie; Mexico Women’s National Team striker Katie Johnson; New Zealand Women’s National Team defender Rebekah Stott; former NCAA All-Americans such as defender Erika Skroski (Rutgers) and midfielder Sarah Killion (UCLA); as well as 2015 MAC Hermann Trophy winner and Costa Rica Women’s National Team midfielder Raquel Rodriguez (Penn State). 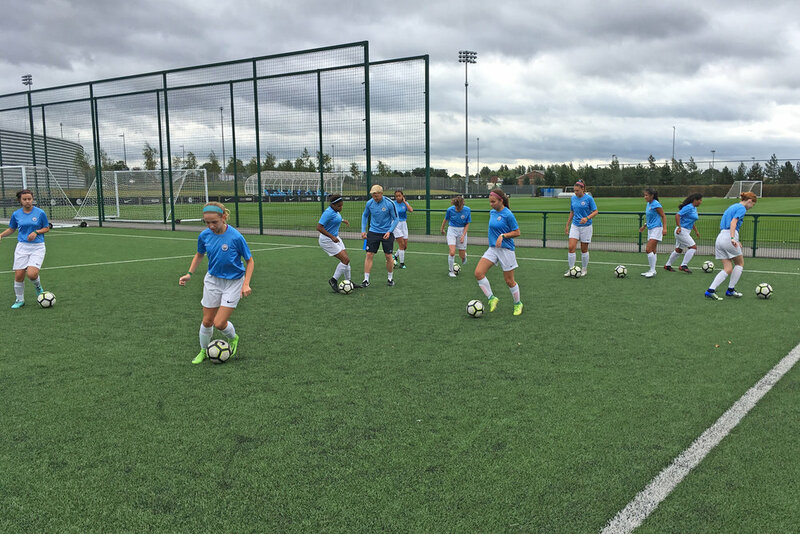 As part of the relationship, Sky Blue FC players will be appearing at DUSC camp the week of August 13th to 17th, prior to Sky Blue FC hosting a DUSC Night on August 18th when the team takes on the visiting Utah Royals FC. DUSC players will receive exclusive experiences throughout the game, including escorting both Sky Blue FC and Utah Royals FC players during the National Anthem and access to a VIP Meet and Greet after the game. Additional Sky Blue FC group and individual game tickets are on sale now, and fans can purchase by calling 888.SBFC.TIX (888.723.2849). Located in the heart of America’s most cosmopolitan city, DUSC has always been lucky to have players and coaches from all over the world. Nina Gilden was born in France to a Parisian mom and a dad from Brooklyn. Spending her early years going back-and-forth between France and the US, she attended pre-k in Japan and then settled down in NYC for school. She lived in the same rent-stabilized loft her dad had lived in for 36 years — while playing and falling in love with soccer at DUSC. How long did you play at DUSC? I started playing at DUSC when I was 7. My first team was the Cardinals, it was the Recreation League and we played on a small field by the Carmine swimming pool [JJ Walker]. I fell in love with the game and tried out for the U10 Girls travel team, made the team and haven’t stopped playing since. Back then, the only fields at Pier 40 where the roof top and the indoor field. There was no beautiful center pitch, but rather a huge parking lot with beautiful views of the river and downtown! Balls were constantly going over into the Hudson or landing on the hoods of cars! 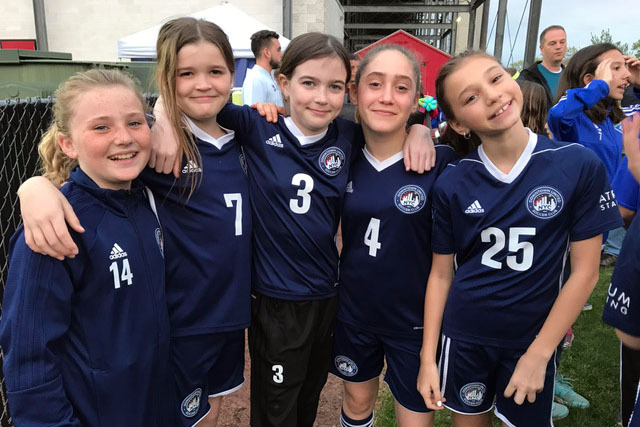 Girls soccer in the city has really improved since I started playing in the late 90’s, early 2000’s and it’s exciting to watch so many young girls getting into the beautiful game. Because competition wasn’t extremely high in the girls teams, DUSC made an exception to allow me to also play on the boy’s U-11 team. I loved it! I played until I was 12 with DUSC and then found a competitive girls team in Long Island. I started living somewhat of a double life: going to school in NYC while taking the LIRR six days a week to train and play games with my new club team. 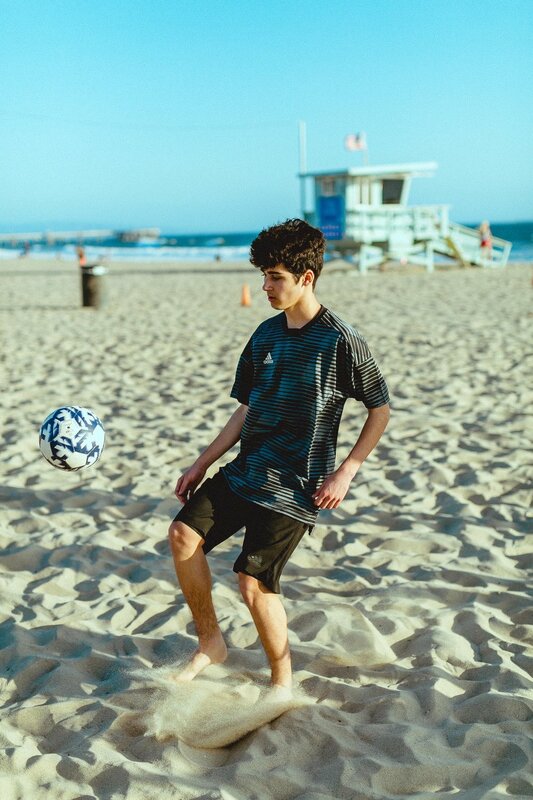 DUSC gave me my soccer foundation and the love to play, which I still carry with me today. What are your fondest memories playing with the club? Pier 40 is and always will be my favorite place in NYC. 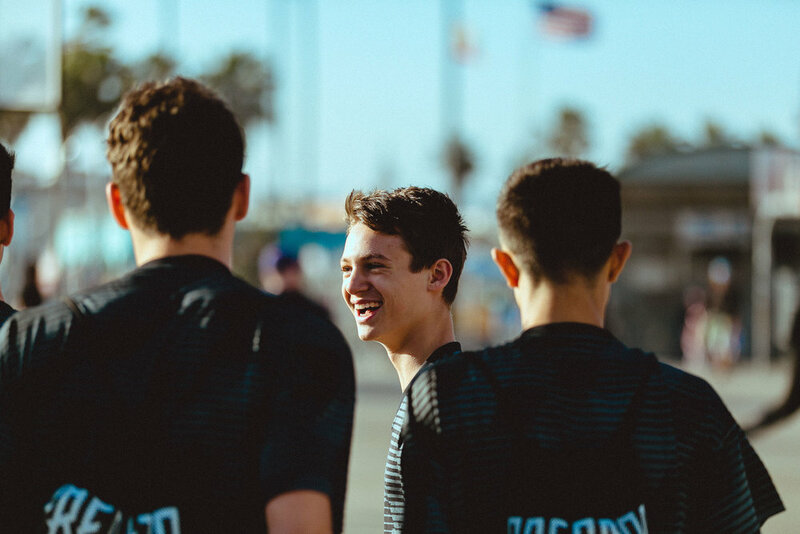 I’ve watched it develop and grow just as DUSC has also grown and is opening up a fun, competitive and memorable experience for its players. When you are young all you want to do is play with your friends. I felt so lucky to be able to play soccer with my friends, just to kick a ball around and bond with my teammates. What life lessons did you learn from playing the beautiful game? Hard work pays off! On and off the field, I had to learn time management skills to be able to play and get my homework done. 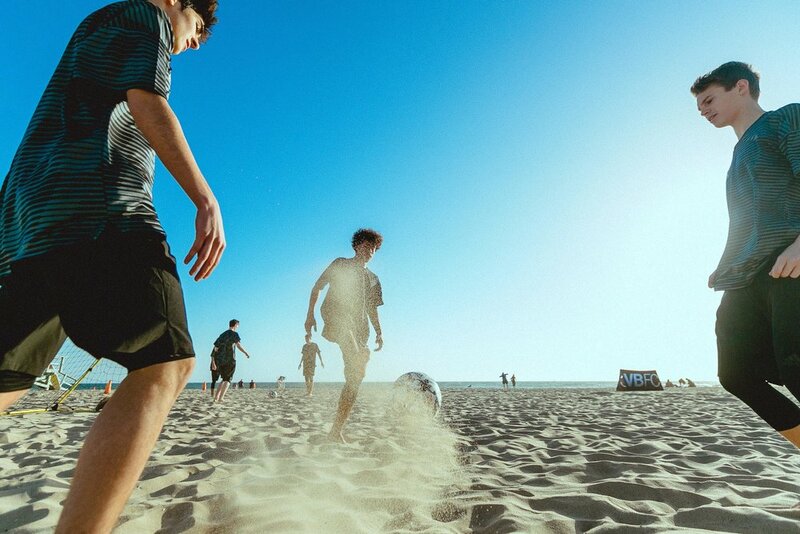 Soccer was a reward. I definitely learned how to be a team player, which helps a lot in the work world. I am also very appreciative of my parents: without my dad I wouldn’t have started playing and without my traveling soccer mom, I could not have made it to any of my soccer practices or games. Plus she’s an awesome cheerleader. Go soccer moms!! I am a certified art teacher and have been teaching Art and French in the city. At the moment I am also applying to school for Interior Design. I am half French and American. 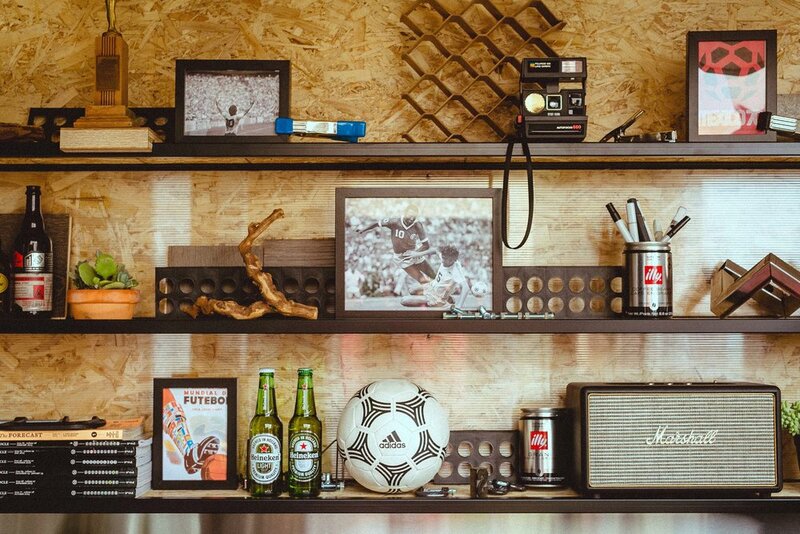 What team are you rooting for in the World Cup? And why? France, allez les Bleus! I can’t stop watching highlights of the game against Argentina. Mbappé, wow!!! I also do really love watching Mexico play though, they are fast, technical and great on the counter. What interesting things should we know about you? I’m naturally a lefty but my dad trained me to play with both feet, he saw it as a great advantage. He made me practice every day and “Fake one way, go the other” has been drilled in my brain. I’m now almost better with my right foot! In line with our developmental philosophy, our club does not enter State Cup competition until U12 (2006). We are very proud of the accomplishments of all our teams on and off the field, and would like to recognize the achievements of our teams who have made it to the next stage of competition. Best of luck to all teams competing in the semifinals. Play with integrity and play the “DUSC Way”. 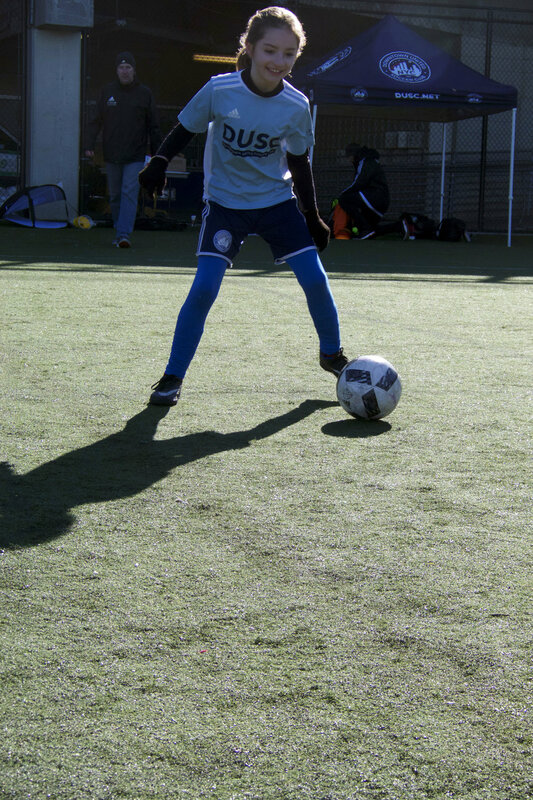 Downtown United Soccer Club hosted the Spring Kickoff Clinic at Pier 40 in Manhattan on Sunday, March 11. More than 60 girls, from within the club and from the outside community, had the opportunity to work with an all-female coaching staff with a highly diverse background in playing and coaching. The staff for the spring clinic featured coaches with intercollegiate playing and coaching experience at each of the NCAA Divisions, State Youth Soccer staff, regional and state Olympic Development Program staff and a wide range of international tournament and camp experience. DUSC high school students, Katherine Fox, Hallie Hayne and Eva Kellner, also took part as player assistants. “We’re thrilled with the community response and excited to see so many girls come out and take part. For young players to be able to see older players and coaches who have been where they are is so important. They begin to realize the possibilities,” DUSC Girls Assistant Technical Director Sarah Dwyer-Shick said. The Kickoff Clinic was the third in a recent series of DUSC events focused on girls’ development. In February, the female DUSC Academy coaches ran the Saturday girls recreational classes, providing participants the opportunity to work with coaches from within the DUSC academy program. Two weeks ago, players and their families attended the She Believes Cup game, featuring the Women’s National Teams from the US and France at Red Bull Arena in Harrison, N.J.
“The Downtown United Soccer Club Girls Spring Kickoff Clinic was another example of the DUSC commitment to providing the highest quality playing and training environments for girls. 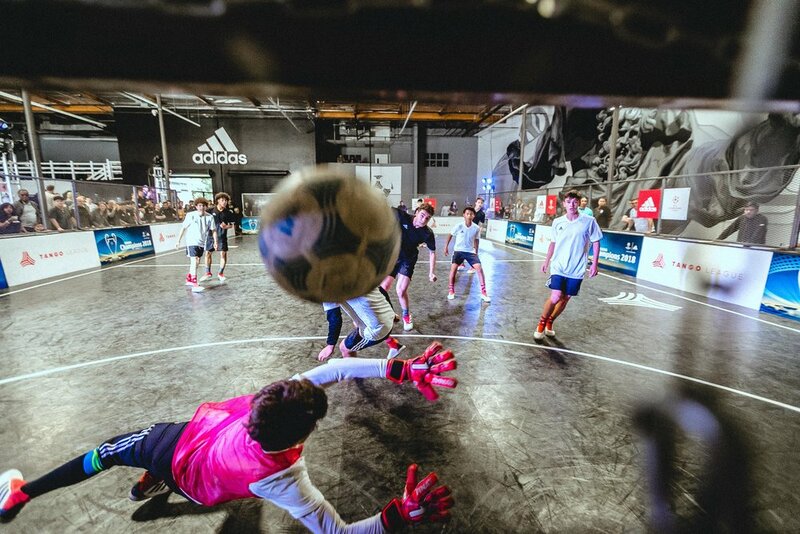 With more than 60 girls participating and 11 women coaching and mentoring, it made for an inspirational and fun day at Pier 40,” said DUSC Director of Youth Development Kevin McCarthy. In the Fall of 2017, Downtown United Soccer Club donated more than a hundred new uniforms from its recreational program to African children in need. The uniforms went to the Ugandan-based organization Growing the Game for Girls (G3) through DUSC's Sarah Dwyer-Shick and The Sports Bra Project. Lisa Berg, American based Cofounder of G3, delivered the DUSC uniforms and Sports Bras provided by The Sports Bra Project to the organization’s Promoting Play Tournament & Symposium held in Uganda in October. G3 partnered with three local schools for the deaf in Kampala, Uganda to bring together students to play soccer. G3 committed to training their teachers in coaching soccer. G3 also worked with the schools to sensitize community members to the ability of kids with disabilities to participate in sports. 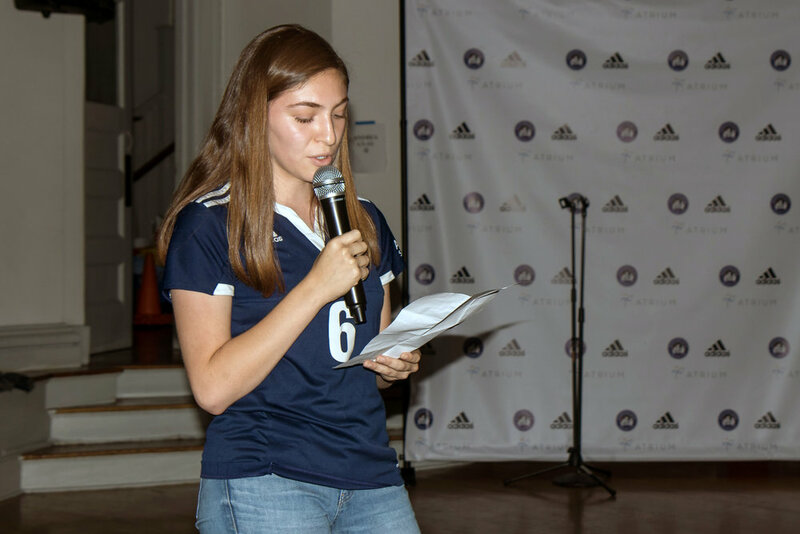 The schools received soccer balls, cones, bibs, sports bras and new uniforms for their girls’ teams from Downtown United Soccer Club, The Sports Bra Project, Woodbury Soccer Club and One World Soccer Balls. After visits to each school, G3 held a tournament for the girls and a symposium for parents, community members. Over 120 girls age 8–18 competed in a new sport in their new uniforms. The impact continues to grow and G3 continues to work with coaches and find ways to promote play for all girls, no matter what barriers they face. Growing the Game for Girls (G3) was established in 2010 by Berg and Majidah Nantanda. They were women’s national team coaches in Uganda and wanted to develop soccer for girls and women. The purpose of Growing the Game for Girls is to encourage more girls and women to participate in soccer and to sensitize the community to the equal treatment, non-discrimination, and promotion of opportunities for girls and women in sport. For information on Growing the Game for Girls (G3), click here. The Sports BraProject was founded in 2017 to provide Sports Bras to female athletes in areas where access to such items is limited and is often one of many barriers to participation. The Sports Bra Project distributes the bras it collects through organizations already operating sports programming in the US and abroad. For information on The Sports Bra Project, click here. Buguyere Deaf School player takes penalty kick against Ntinda Deaf School in the 2017 G3 Promoting Play Tournament. 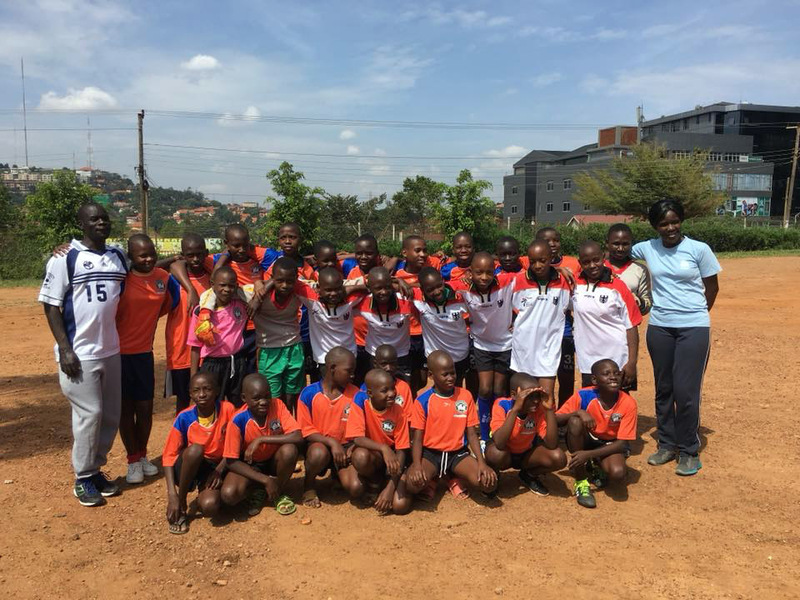 Growing the Game for Girls Co-founder, and former Uganda Women's National Team Coach, Majidah Nantanda with girls from Buguyere Deaf School. Girls at the symposium also got snacks and sodas after they compete. 6-12 year old girls from the Mulago School of the Deaf in their new Downtown United Soccer Club jerseys. Majidah Nantanda conducting the pre-game coin toss with players wearing jerseys and gear donated by clubs in the US. Players received sports bras and uniforms from The Sports Bra Project and Downtown United Soccer Club. Girls from Buguyere Deaf School celebrate their goal against Ntinda in the 2017 Promoting Play. 13-16 year old girls from Mulago School of the Deaf. Girls in Uganda shave their heads for uniformity and cleanliness. Each December, Mauricio’s hometown, Cali has its annual Carnival celebration. 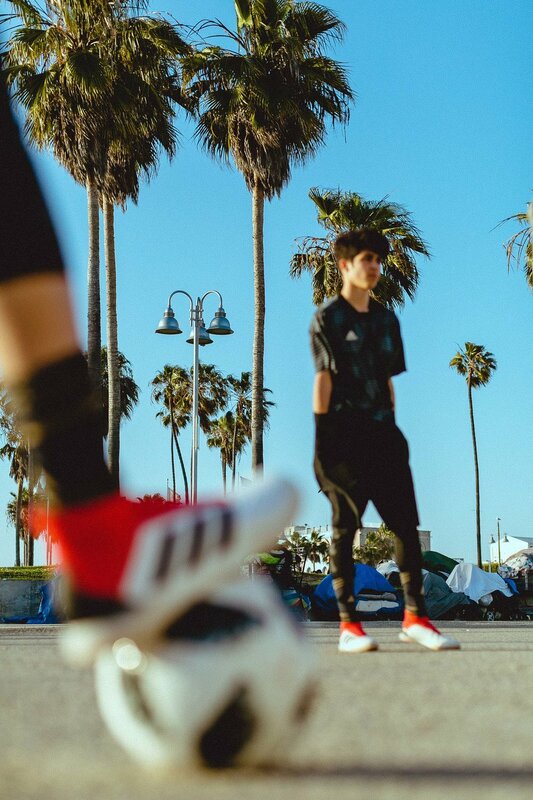 He uses the holiday break to recharge his batteries with a trip back, to celebrate the Carnival, enjoy the warmth, see family and friends — and spend some time coaching young footballers from his home town. Prior to each trip, he stuffs his luggage with soccer donations from the club to distribute — shirts, shoes, balls and miscellaneous equipment. This year, a buddy and fellow ex-pat encouraged him to reach out to a different group of youngsters, kids from the inner city, “invasiones”, the Colombian version of Brazil’s favelas. Today is Giving Tuesday, a global day of giving that kicks off the end-of-year giving season. We are asking that all of our DUSC families consider giving to DUSC today or in the coming month. As a 501 c(3) not for profit, we depend on your generosity. 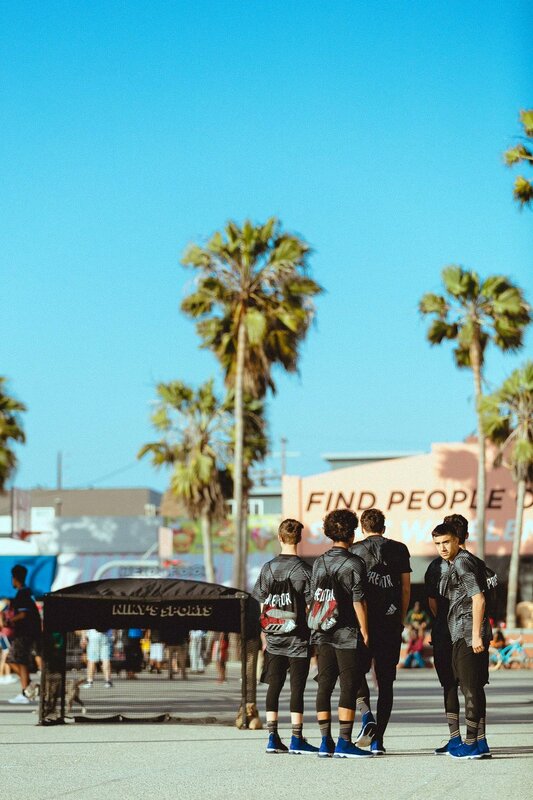 At DUSC, it is our philosophy to provide a place for committed individuals to play and learn about soccer-and grow as people-regardless of financial resources. 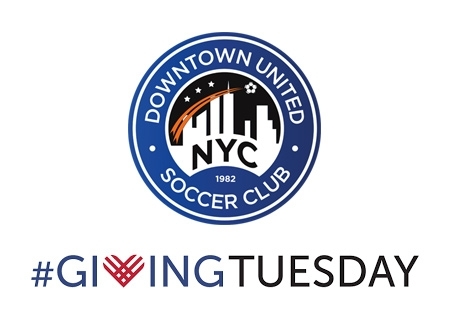 Your donations will provide the best coaches possible for our children, identify and secure much-needed field space, and offer scholarships to 20% of our academy players, which is fundamental to DUSC's core principle of inclusion. DUSC accepts donations through Firstgiving, and all donations are fully tax-deductible. Lou Chiorazzi has been a parent coach in our DUSC Recreation League since last winter. He took some time to share his experience with us. . . .
How did you learn about the DUSC Recreation League? I searched online for a larger girls program because the one I was using across town had limited girls, so they mixed 10- to 15-year-olds. I was concerned that my daughter, at the time 10 years old, would be discouraged by the bigger players, and wanted her with similar age and sized girls. I also knew about DUSC from a parent of an Academy player, who I admire, he loves the game and has nothing but good things to say about DUSC. His son also flourished and continues to play today. Did you have any prior soccer or coaching experience? Some minor assistant coaching experience in my daughter's prior league, but not prior coaching skill, or major soccer knowledge, just a love and appreciation for the game. When I came to DUSC last season, I coached the Winter Coed league. I really enjoyed the time. What do you enjoy most about being a parent-coach? I truly enjoy seeing the players get excited to play the game, and observing the natural teamwork that dynamically forms. 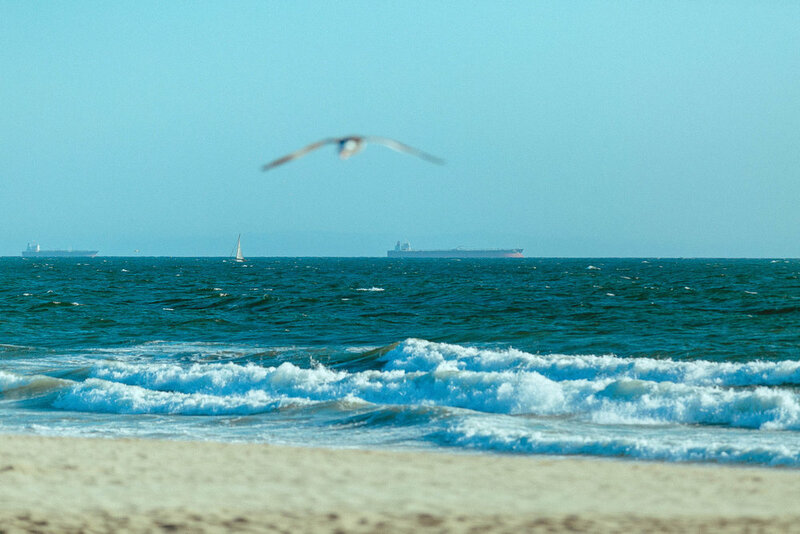 The natural love to be sporty, compete and have fun with others. They want to do well, some know how to do that, and some don't. Trying to help find a balance is the most fun for me. It's rewarding to me to provide basic guidance to simple game situations, positioning, passing, shooting, to help build confidence in their game, while encouraging teamwork. Sometimes a little extra attention to teaching a player makes a difference. It's limited time we have on the field, but it's quality time as DUSC provides a laid back and fun environment, with the support of the coaches. A great way to introduce, or continue to encourage players for the game. What would you say to a parent who is considering coaching this winter but still undecided? Dive in and just let your natural ability to even consider getting involved, to get involved. Most parents are fully capable of what's needed to coach. Encouraging the players, the teamwork, balancing playing time, and simply cheering. You don't need to know a lot about the game. You'll learn if you get involved. The DUSC coaches will help and the kids can naturally figure out, or know the game anyway. It rubs off on everyone. Coaching at DUSC, less is more in general. Your simple presence and care for the players will go a long way. How does your daughter feel about you being her coach? My daughter is definitely proud that I coach. It's a symbiotic activity for both of us, as I want her to put in more effort to achieve her best, whatever that ends up being regardless of skills and result, and she sees me leading by example to put in the effort with her, and the other players. Showing care is half the battle. I continue to grow a love for the game over the years and think it's the best sport for anyone to play, especially children. The game encourages the players to put in effort and find their way to be effective on the pitch. I've seen work ethic improve, teamwork take shape, relationships build, and sheer enjoyment in the flow of the game, regardless of the final result. What does being a part of the DUSC Community mean to you? DUSC made my daughter and me feel welcome, included and valued to be a member. 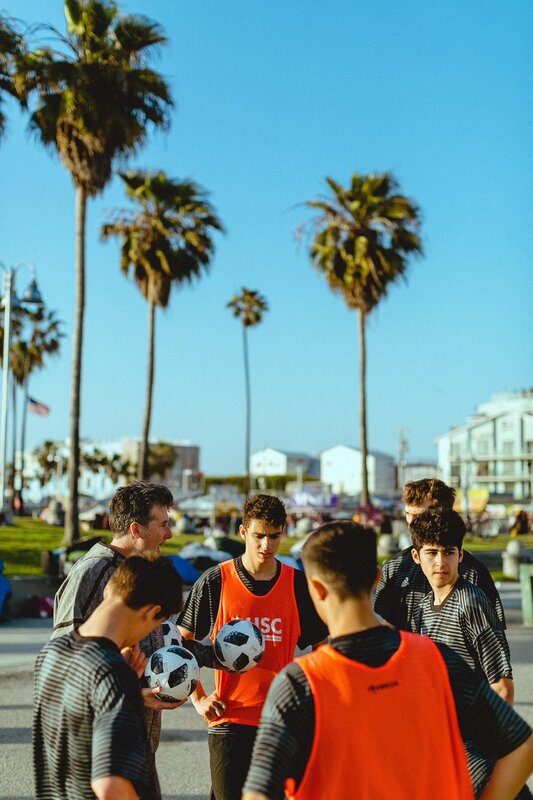 An inclusive model with recreational options, camps, skills classes, and a future potential academy option makes DUSC worth committing time to build a player to their maximum potential. If you are interested in becoming a Parent Coach in our Winter Recreation League please let us know. No prior soccer experience necessary! Mali is a landlocked country in sub-Saharan west Africa known for its music, its cuisine — and its obsession with soccer. It’s also the birthplace of beloved coach Oumou Toure, who despite her youth, has been a fixture at the club for over a decade. This summer, Oumou visited Mali. As a young girl she had moved to New York City, following her mom, a chef and restaurateur who had immigrated here to open an African restaurant in Harlem. This was her first time returning, a trip she made with her sister and a cousin. As a DUSC coach, Oumou was very familiar with Soccer Recycle, an initiative with which the club partners to collect and distribute gently used soccer uniforms and equipment internationally where they are needed. She asked Program Director Adam Norse if he had any equipment she herself could distribute in Mali and he was happy to help, finding her four teams worth of uniforms from our Recreation League. But the smiles were same, and the joy, the universal language of our game. “They were so happy to get the uniforms and I was so happy to be able to provide them.” The DUSC spirit is spread wide, from here to Timbuktu, and beyond. Kevin brings a wealth of experience to DUSC. 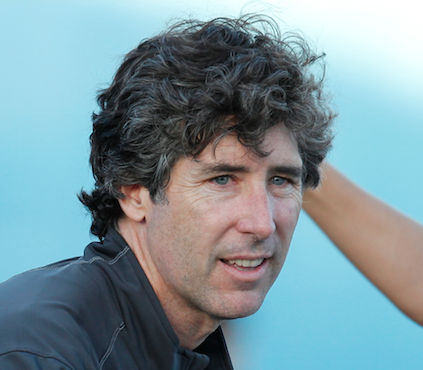 Having won Ivy League titles as a coach in Columbia University's women's and men's programs, Kevin was selected for a NSCAA Coach of Year Award. 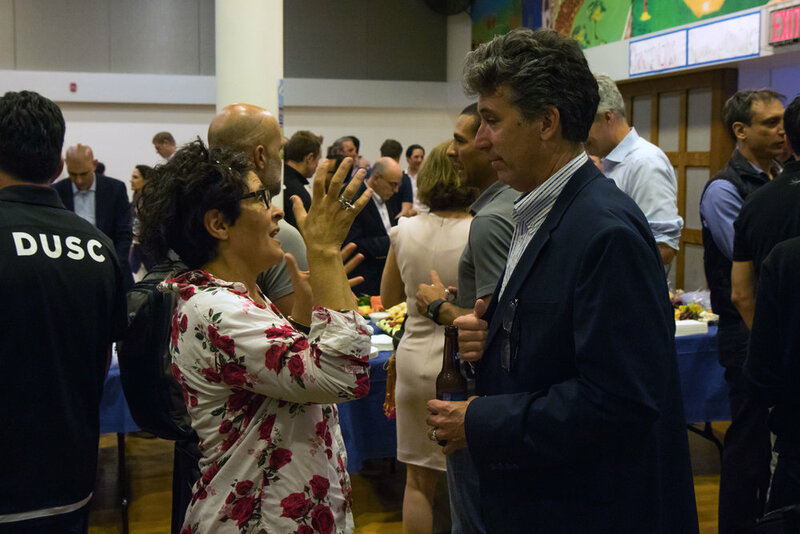 He serves on the NY Leadership Council for the United States Soccer Foundation and was a Founding Director of Next Gen USA and the NYC Soccer Academy. 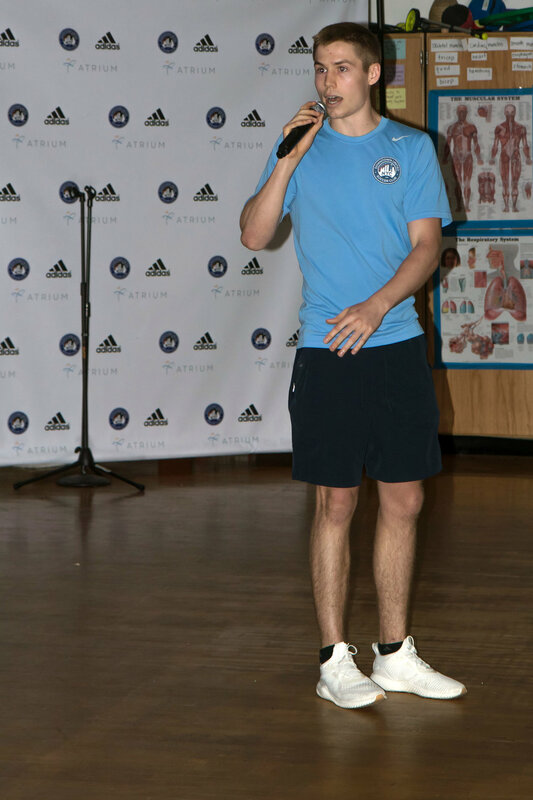 A highly sought-after speaker, Kevin has lectured at many NYC schools, including Columbia, Brooklyn College, Fordham Business School and he has appeared on ESPN, Sirius FM and CNN to discuss the state of American Soccer and youth development. 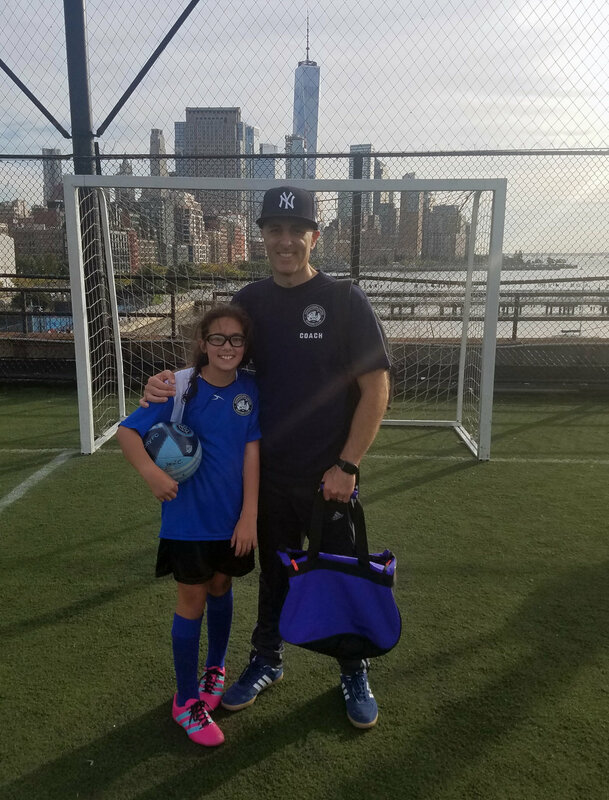 "Manhattan has been my home for over 30 years and I have navigated the NYC soccer scene as a player, coach, board member, volunteer and parent,” Kevin said. 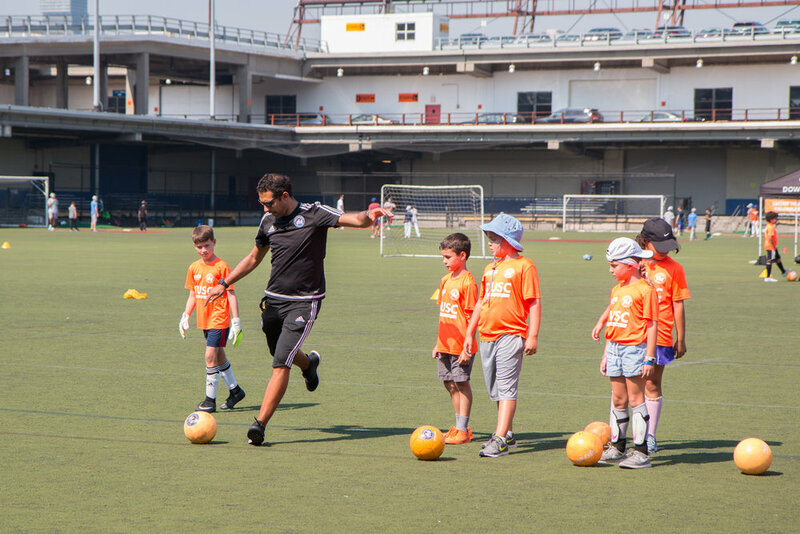 ”DUSC is already a model for holistic and inclusive player development in NYC so I am excited to be involved in supporting and growing the progressive platform of programs that DUSC operates. I am passionate about bringing my value-based approach to DUSC and my initial goal is to build on the strong and positive soccer developmental experience for all the DUSC stakeholders: players, parents, coaches and employees. "Kevin will be a great addition to the team. 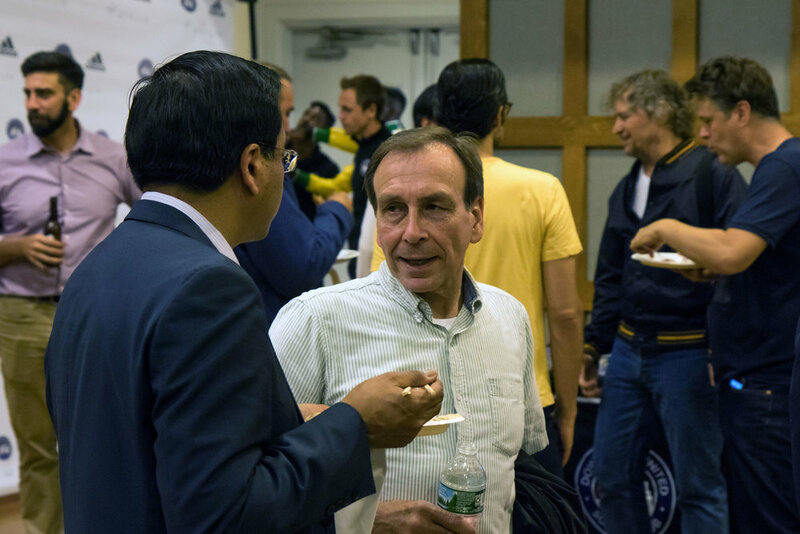 His network within NYC and his experience at the collegiate level with both men and women will be a tremendous asset to our players and our community at DUSC" said Tom Frambach, General Manager at DUSC. After more than 25 years, the summer of 2017 was the best one yet for DUSC Summer Camp, with over 1500 players attending a total of 54 days. Our campers worked on their skills and their fitness, building on their love for the game in a positive, supportive environment. And most important to all of us — they had fun! We are able to give over $38,000 in financial assistance to those in need this summer to experience the beautiful game. We are grateful to our footballers and their families for the time they’ve spent with us this summer at DUSC Summer Camp.